Synth Legend of the week: Torakusu Yamaha established his eponymous company in 1887 as a piano and reed organ manufacturer. He originally copied a reed organ he repaired in a local church before moving into piano manufacturer and toured the USA to learn techniques in the early 20th century. My first real synth was a Yamaha B200 from 1989 - a nice 4-operator FM machine. Synth Legend of the week: Dave Smith founded Sequential Circuits in 1974, designed the Prophet 5 in 1977 (the world’s first microprocessor based synth), and is known as the ‘Father of MIDI’, thanks to his role in the development of the MIDI spec in 1981. The Prophet 600 was also the first commercial synth to sport MIDI ports. Not only that, he designed the first software synth for a PC, and designed the Korg Wavestation whilst working for Korg R&D in the 80's. In 2015 he reclaimed the ‘Sequential Circuits’ name from Yamaha, after releasing several successful ‘Dave Smith Instruments’. Not bad going, eh? Synth legend of the week: Koichi Kawai was a neighbour of Torakusu Yamaha, and was his apprentice in early 20th century. He founded the Kawai Musical Instrument Research Laboratory in 1927. And I still have my Kawai K4 from 1989 - still a good synth. 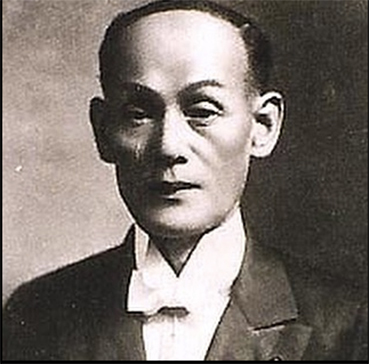 Synth Legend of the week: Akai was founded by Masukichi Akai (pictured) and his son, Saburo Akai in 1929. Akai also means 'red' in Japanese, hence their logo colour. Akai helped revolutionise modern music in the late 80’s with the S900, S950 and ultimately the S1000 samplers. Hip-hop, rave, jungle all have a lot to thank this guy for!